Emad Shahin would be a dead man walking if he were in Egypt. Fortunately for him, he’s in Washington, DC. Shahin was sentenced earlier this week to death in absentia by the Cairo Criminal Court along with 35 other defendants, including former Egyptian President Mohamed Morsi, on charges of espionage. “This amount of death sentences is unprecedented in Egypt’s modern history,” Shahin told VICE News. 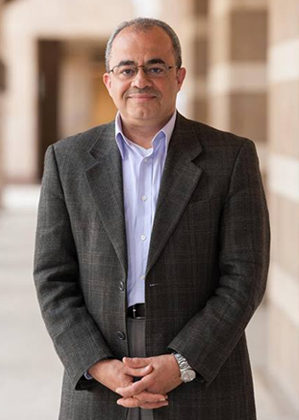 Shahin is a professor of public policy at the American University of Cairo, but is now a visiting professor at Georgetown University and Columbia University. He says he’s embittered by the turn of events since President Abdel Fattah El Sisi rose to power in a military takeover in July 2013. Shahin first found out through Facebook that he faced criminal charges in December 2013. “I remember vividly I was giving a couple of lectures overseas and one night this person contacted me on Facebook in shock, I didn’t know this person at all, and he said he knows of me and he found my name on the list of the people who are going to be in charged in the Grand Espionage case”. Listed as defendant number 33, the evidence consists of being cc’d on emails of other co-defendants in the same case as part of a bid to undermine Egypt’s national security by having contact with Hamas and Iran. “I didn’t take it seriously and he kept urging me to take it seriously and not go back to Egypt” he explained to VICE News. 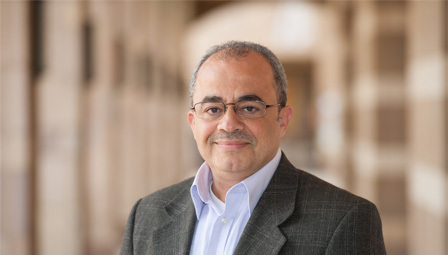 The tenured professor at the American University in Cairo has been in self-imposed exile since January 2014, building on his impressive academic credentials gained at various universities such as Harvard, Columbia and Notre Dame. Shahin vehemently maintains his innocence and claims the authorities have not even contacted him regarding the specific charges. Shahin compares Sisi, who swept to power capturing 96 percent of the national vote a year ago, to the ousted autocrat Hosni Mubarak. “Sisi is putting people in a tough choice the same way Mubarak did — either me or chaos, either me or insecurity and instability” he told VICE News. With Sisi’s ascent to power, state security forces have killed over a thousand people, over forty thousand are languishing in prisons including journalists and activists, protests have been effectively banned from public spaces, and a report released today by several women’s rights organizations notes that state-sanctioned sexual violence has surged. Shahin’s death sentence is not final until 2 June when the Grand Mufti, Egypt’s highest religious authority, approves the court decision. The decision can still be appealed but Shahin is not even considering this. As the end of the semester approaches, Shahin is setting his sights on conducting more activism, informed by his scholarly work. “I wanted to be viewed as an academic and scholar solely but this is too much,” he said, in reference to the death sentence hanging over his head. He is insistent that a political tipping point is imminent if the Sisi government continues to silence dissent. “They are acting on their madness so they have to be stopped, that’s what I am trying to do” Shahin said.